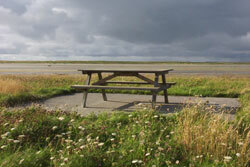 The idea for a picnic bench at Garriegannichy came from a local resident, who took it up with our local councillor, who brought the idea to us. 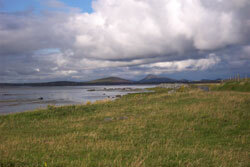 We got funding of £1125 from the ACE fund, and installed a picnic bench near Hebridean Jewellery. The council installed a litter bin nearby. This bench has been very popular with tourists, who stop to admire the Gualan, a long sandy island to the west.